Two story stucco office building on concrete slab. 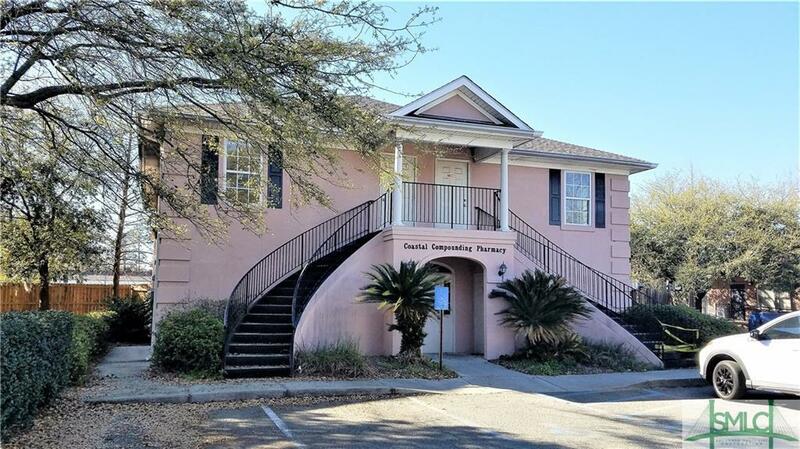 First floor is one office medical office (currently under renewing lease), Second floor is divided into two office rentals with 4 offices & 1 bathroom each (both currently vacant), two storage areas under steps. Repairs to steps are negotiable. Listing courtesy of Dianne S. Kessler of Tricounty Real Estate. © 2019 Savannah Multi-List Corporation. All rights reserved.